Most beginners play way too many starting hands, in fact top players typically play between 20-30% of their starting hands. Concentrate on higher value starting hands and help remove the luck element of the game. Learn how to fold a hand, and don’t be a calling machine. Many beginners keep betting regardless of the board or what their opponent’s actions are suggesting. Top players frequently say it’s the hands you can lay down that are often the key to profitable play. ...if you want to win money. Sounds fairly obvious, but you should play at betting limits where you can beat the majority of players. Move down in limits if you are having difficulties winning money. 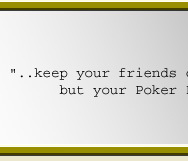 In poker, always leave your ego at the door. Especially when you aren’t in a hand. The best time to study is when you aren’t emotionally invested in the hand, and you can make more prudent observations. Watch how opponents bet, and how much they bet, in what position are they betting. Learning how your opponents play is key. Betting is not always because you have the best hand. Top players use various betting techniques to try to gain information. For example, a defensive bet is one that you can use early on to avoid calling a bigger future bet. A re-raise may be used to probe the credibility of your opponent’s hand. ...at the right times against the right players, and at the right frequency. Bluffing is often a misunderstood concept, and much to many beginner’s dismay most pros use bluffs quite sparingly. A bluff can be very effective when used rarely, and where there is a seemingly low risk of being called by your opponent. ...and how it is critical. Not only is it important to play strong hands, it is even more important in what position you play them. For example, the ideal position is the Button (the Dealer), as you are last to act, and have the advantage of watching all of the betting action before you need to make a decision. eg. If the action before you consists of a bet, a raise, and a re-raise, and you hold a pair of Tens, you might think that folding is the right decision. Players can always learn more if they want to be a better poker player. Keep notes on what works and doesn’t work for you, and eventually you will come up with a style of play that works uniquely for you and improves your game. 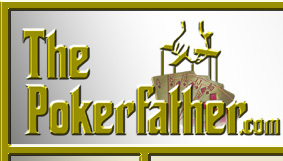 Please see our list of Top Poker Books if you want to see some good selections. 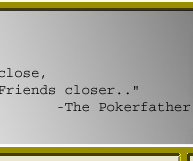 "Keep your friends close, but your Poker Friends Closer"
Please also see our news articles on "Five Unconventional Tips to Poker Success" and "Ten Tips to Improve Your Online Poker Game"